2018 young handlers have been enjoying their training clinics. All the dogs and handlers have shown great improvement. The open day to choose the overall winner will be announced early June. The Charlotte Cobbald young handler award for 2018 went to Kelly Blackwood. 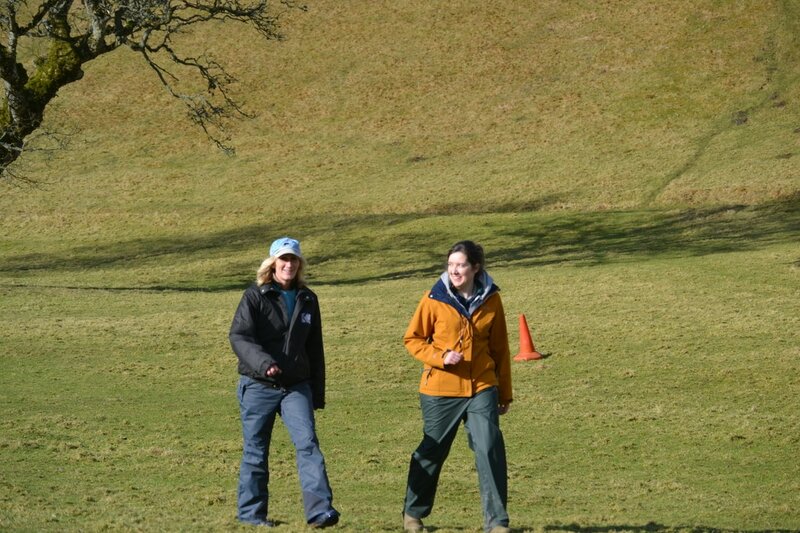 Stephen Cobbald our patron attended the event and was thrilled to see how the young handlers had improved over the weeks of training at Nethhillbordercollies. Logan whistles and Sneyds wonder feeds Kindly sponsored the event donating a wonderful engraved whistle for each young handler and a bag of Wonderdog original for their dogs. The young handlers also received a framed certificate with a picture of the dog they attended the training with as a memory of achievement. The young handlers got together and presented Stephen with a beautiful framed picture of his dog working sheep. 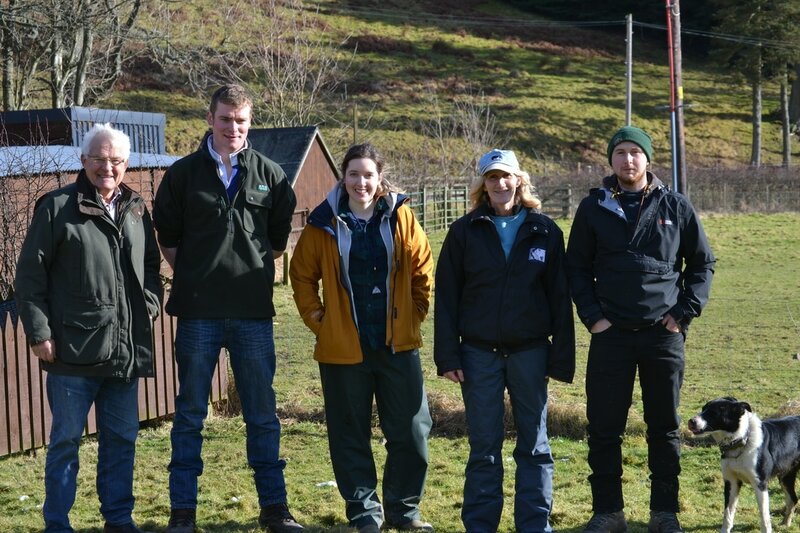 The winner of a new Young sheep Dog Handler Award will be made by the donor of the award at the end of the final training day on Sunday 19th February at Carcant Farm, Heriot (11.30 - 3 pm). 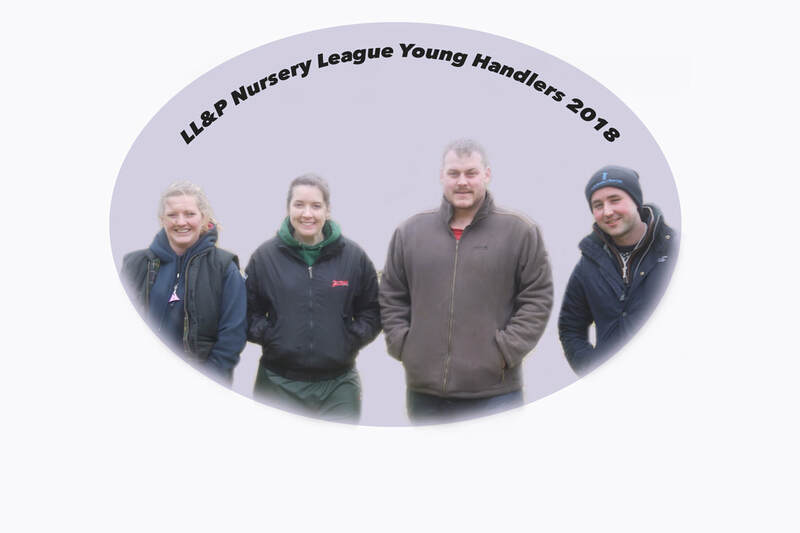 The new Young Handler Award has been created at the Lanark, Lothians & Peebles sheep Dog Trials League thanks to the generosity of Suffolk Farmer Stephen Cobbald. Mr Cobbald has donated £12500 over a ten-year period to provide training for young handlers in the region in memory of his daughter, Charlotte, who died tragically at the age of 17 in 2014. Charlotte and her father competed and trained in the Lanark, Lothians and Peebles Sheep Dog League and regarded the area as their second home. 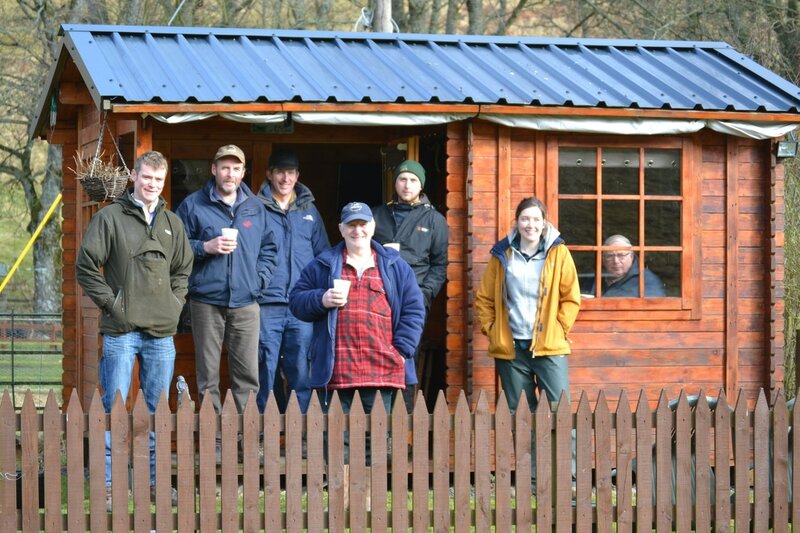 the sponsorship covers five days of training for several young people during the autumn and winter months. It is designed for young people with some agricultural experience or background (under the age of 26) who are keen to learn how to handle a sheepdog and who have the drive and ambition to compete in sheepdog trials in the future. The award for 2017 will be made on the 19th February when a young handler will be given a perpetual award. In addition to the trophy, all the young handlers will receive a specially crafted and engraved whistle from LOGAN WHISTLES in recognition of this initiative to provide educational and training opportunities to young people. (https://www.thebordercollie.co.uk). Applications to take part in the 2017.18 training should be made to Julie Hill in an email detailing the applicants's past experiences and future goals. Karen working with her dog at Carcant. Young Handler Award /Sponsorship day. 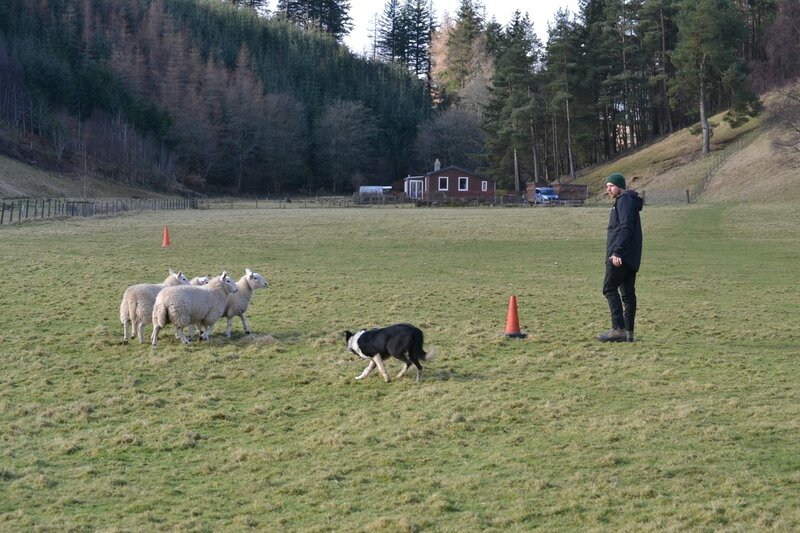 Stephen Cobbald interrupted his lambing to fly up to watch the young handlers demonstrate with their border collies what they had learnt over the winter training events held at Carcant. He was really impressed how they all had progressed from the first time he saw them. Members of the LL&P league were present to give their support and encouragement to the new young members to the league. The three young handlers all started at different levels. 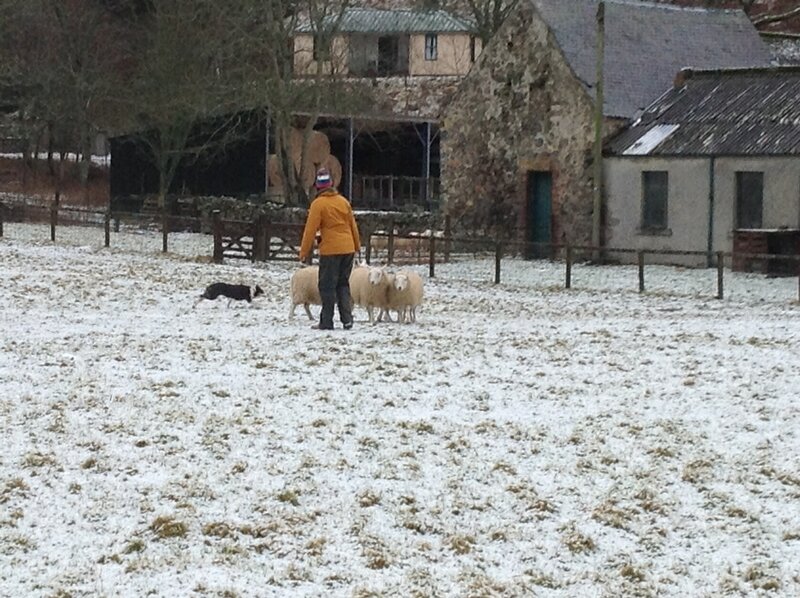 Fraser is a full time shepherd had the difficult task of training his young dog from a pup. He has worked very hard and has grasped the concept of the natural way using pressure and release correctly. He has shown empathy for both the sheep and his dog and was very conscientious and hard working. Both he and his dog have the ability and talent to go on to compete in the future. ​Sion came to the training sessions with a trained dog. They work together everyday on the hills next door to Carcant. Sion showed tremendous commitment, motivation and drive in the handling of his sheepdogs. His skill to read sheep was recognised in his first Novice competition with his dogs. Hopefully the communication skills and handling tips been taught throughout these training clinics will be a benefit to him and his dogs, aiding him in his progression in to high level competition. Karen has been brought up on a farm. Her love of animals took her in to working as a vets assistant. She adopted one of fathers dogs and worked her dog when ever possible. ​She showed great enthusiasm and ability throughout the training days. Karen has natural aptitude, insight and feel for dog handling. Her calmness but quiet determination showed while working with her dog. 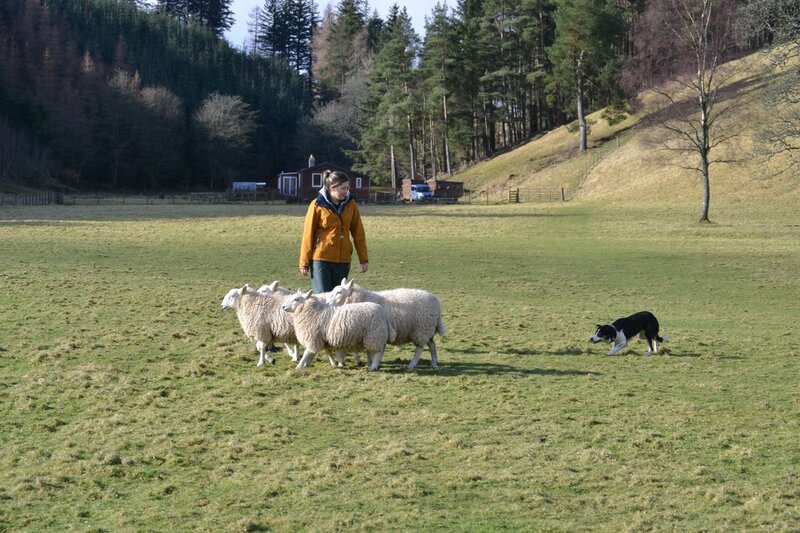 She demonstrated a good understanding of sheep behaviour and how to communicate with her dog. ​It was a difficult decision to choose a winner of the Charlotte Cobbald Young handler shield but after great deliberation both myself and Stephen made Karen our winner of this years award. Her progression with the least opportunity to work her dog in between the training days was dramatic and she was a worthy winner. Fraser above working his dog & far right sion and his dog Fred. Stephen Cobbald & Jock Mitchel share a joke. From left to right. Stephen Cobbald, Fraser Murray, Karen Aitchison, Julie Hill, Sion Morgan.